Among the most devastating things that can happen to a piece of jewelry is that the setting around the stone loosens and the gem falls out. If you find it right away, consider yourself lucky. If you don’t, you’ll want to inquire about having it replaced so you can continue to wear your necklace or ring as usual. Search with a flashlight to see if you can find it. Smaller stones may be impossible to see in carpeting. That’s where a flashlight helps. You’ll see the light reflect off the stone if it is indeed on the floor somewhere. You can also use the packing tape method which has you put packing tape sticky side down on the carpet repeatedly in hopes that the gem will stick to it. This method works best on flatter types of carpets as carpeting that is thicker is harder to press down on. You may only pick up what is laying on top of the carpet rather than everything that has settled to the bottom. If you need a replacement stone, keep the following in mind. 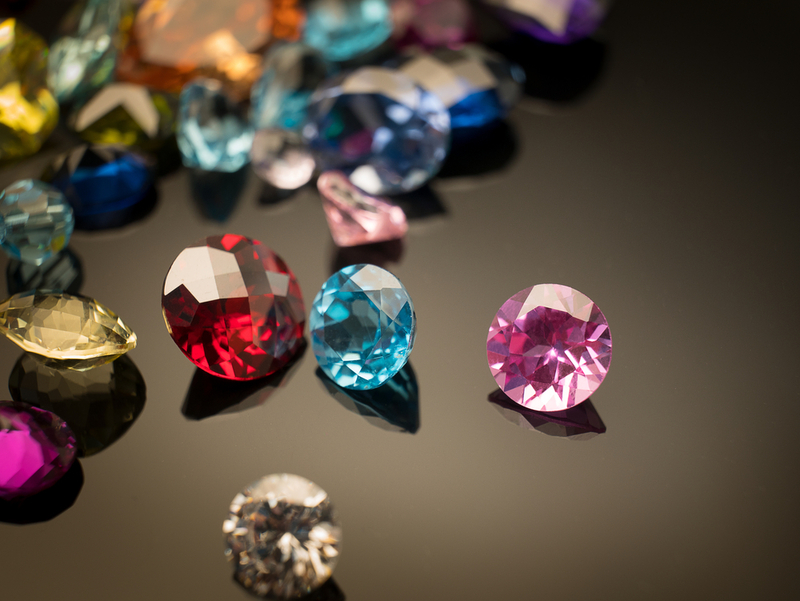 The length, width, and depth of all jewelry missing gems will need to be measured. That way, you can make sure that the replacement stone that you purchase will fit the setting tightly. If the measurements are off, the new gem could easily fall out, too. Don’t worry about carat weight. Instead, focus on millimeter size and color. That way, you’re able to match the original stone as closely as possible. This helps you get the jewelry repaired quickly so it doesn’t sit in a box or drawer for decades. The sooner you address the problem at hand, the faster you’ll have your necklace, ring, earrings or bracelet back in your possession. Center stones cost significantly more than accent stones. Keep in mind that if you’re forced to replace the main stone in a piece of heirloom jewelry or wedding set, it’s going to cost more than it would if it was a smaller, less prominent accent stone. Be prepared to pay significantly more due to the size, weight, and even color of a center stone. That way, it matches the original stone as closely as possible. Losing a stone out of a piece of jewelry can be devastating particularly if it was large and valuable. If searching for it produces no results, have the setting fixed by a trusted jeweler. Westwood Jewelers can replace the missing stone and restore the beauty of your piece of jewelry quickly. If you have any questions about replacing missing stones, contact us right away for more information. We’re here to assist you with whatever needs you have concerning your jewelry. We can take a bad situation and make it good by replacing the missing gem with a stone that looks and feels like the original. If you require this service, let us know, so we can begin looking for the right stone to fit your setting perfectly.